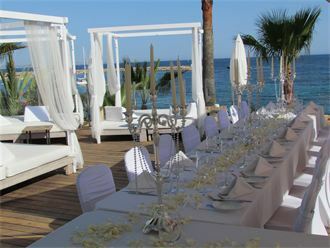 VENUE 1 is one of Mallorca's most gorgeous beach clubs. 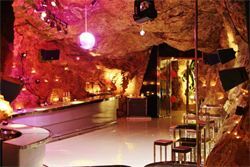 Not only is it located right next to the beach, it also has its very own club in a cave! Patrik and Marie celebrated their wedding day here. 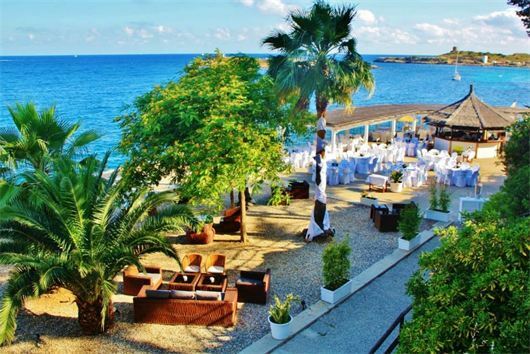 VENUE 2 is another stunning beach club with a cool club area for your wedding party. 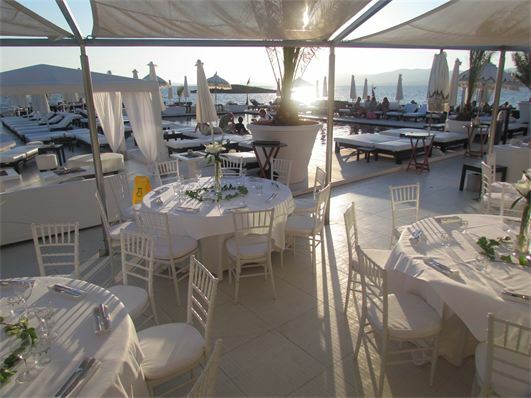 Weddings at beach clubs are a fantastic option, combining the beach atmosphere with chic decor and clubbing. 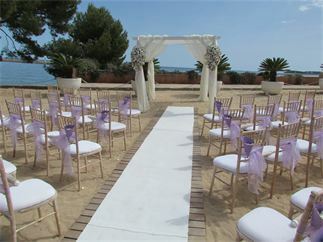 Beach clubs are also ideal for day-before or welcome parties when all your guests arrive before the wedding. For a brunch after the wedding, they are an excellent option. You can hire sunbeds and spend the day at many of these stunning locations, and combine soaking up some sun with spending time with your guests. 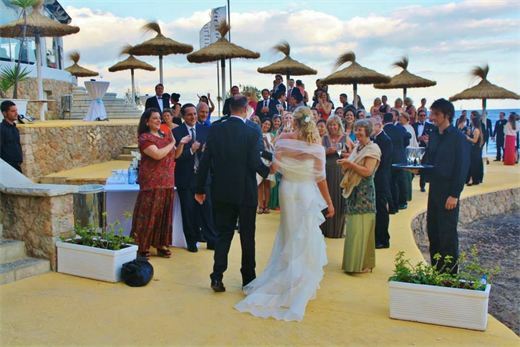 VENUE 4 is also a very cool option for welcome parties or a day-after lunch or brunch.